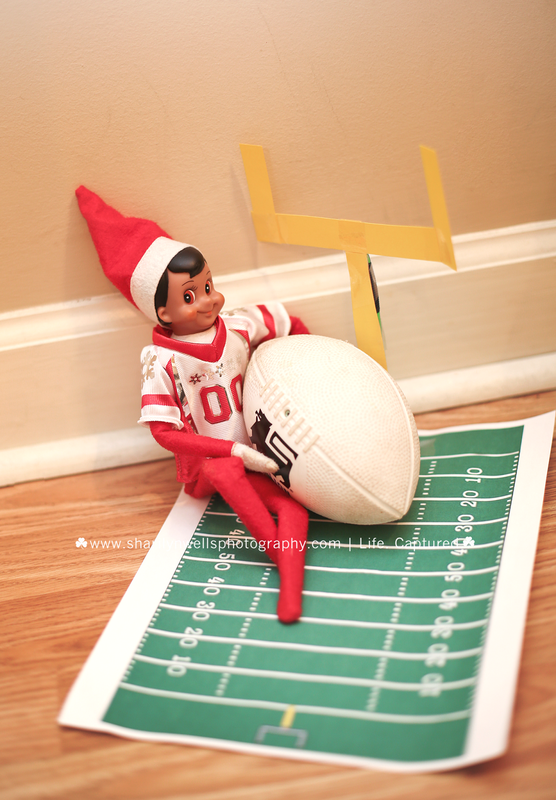 Our lovable Elf of the Shelf, Raheem, came back to us the day after Thanksgiving this year. 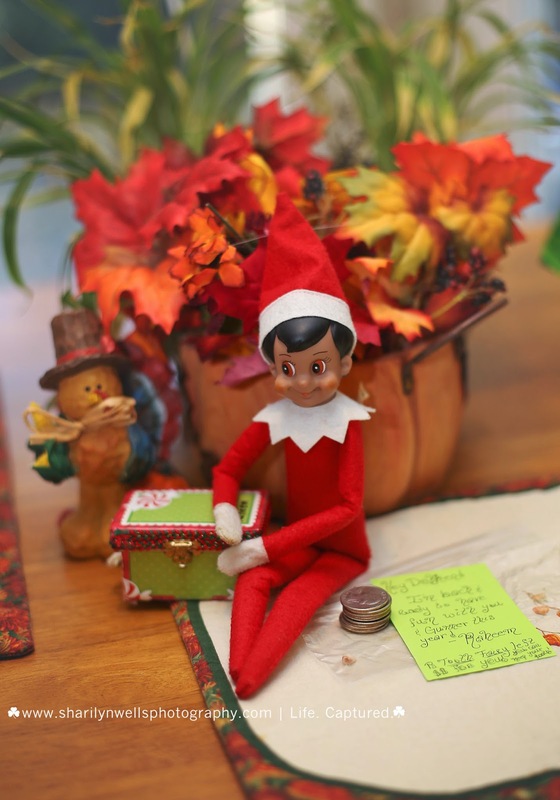 Usually he waits until December to show up but I'm thinking he missed us oh so much, or maybe my eldest needed a lil' more surveillance to ensure he makes the nice list. Either way, he returned and we are looking forward to all the shenanigans he'll get into this year! 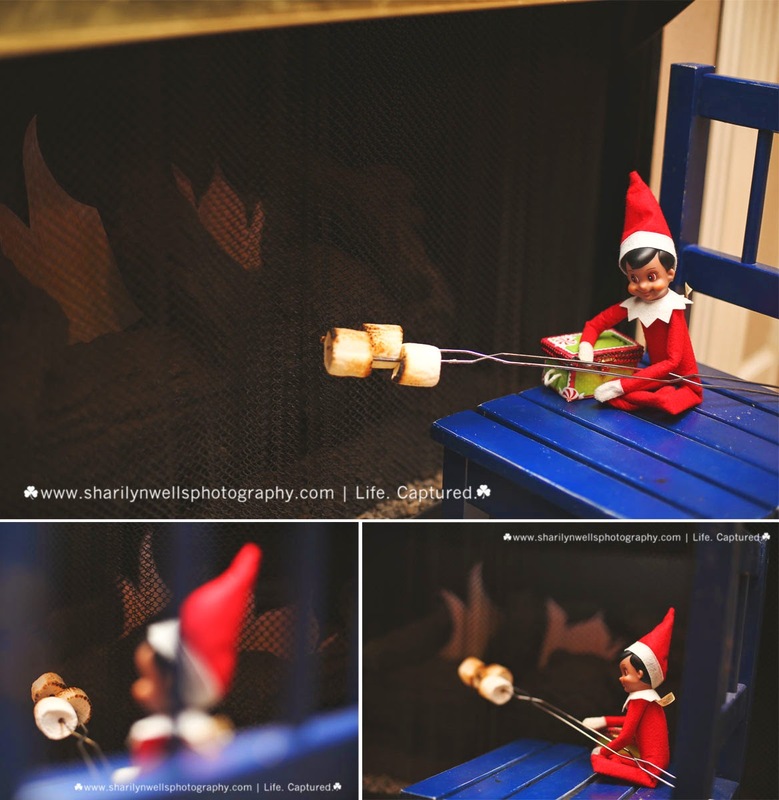 The next morning we found Raheem roasting marshmallows! Haha! He's a sneaky lil fellow! Raheem was also found playing football, sporting a new jersey! What?! My son couldn't get over that! He was super stoked that Raheem had a football jersey AND was playing football. 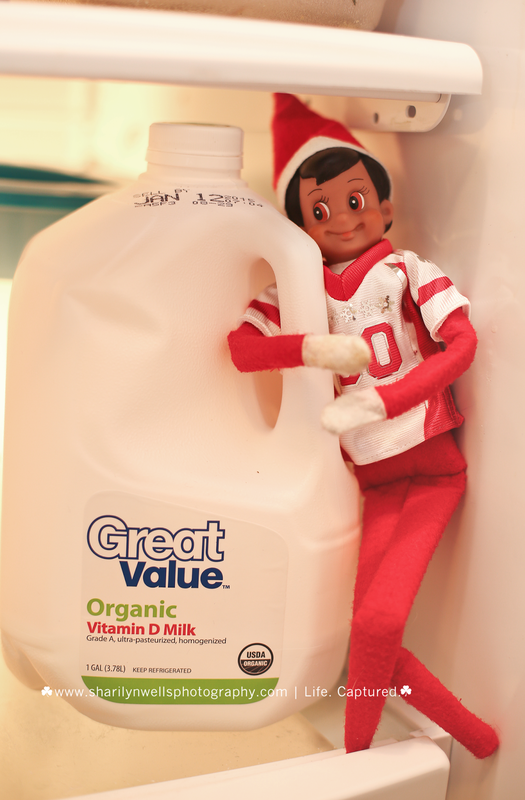 The next morning we couldn't find Raheem ... until we went to get milk for our cereal! 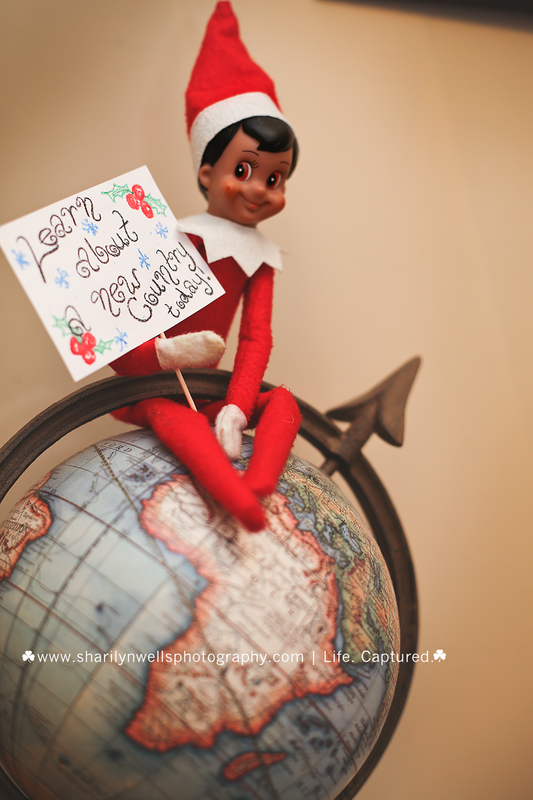 That silly elf! Must have been too hot for him ...or a late dash to move positions before my eldest woke. 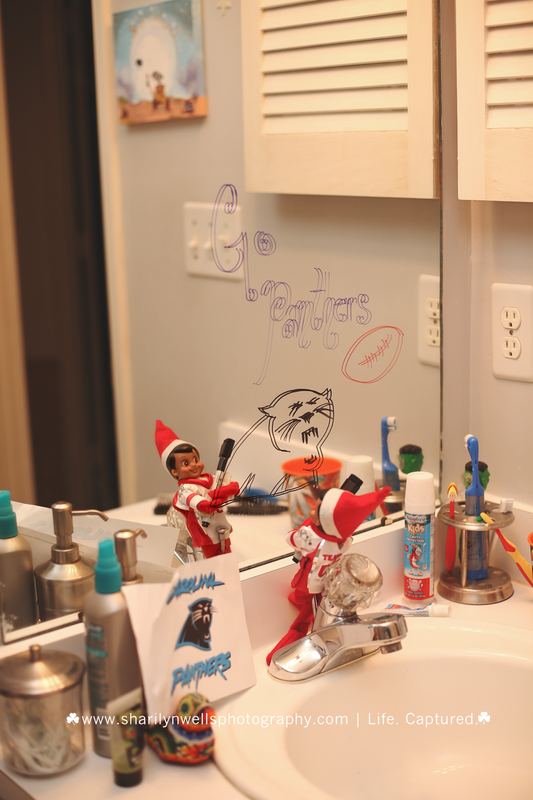 Also, he had a little fun with my boy, who's a Carolina Panthers fan, on the bathroom mirror! One night, Raheem enlisted four green army men to help with his surveillance AND showed up with a naughty and nice meter! He looks a lil' bored here doesn't he? So what does he do next? 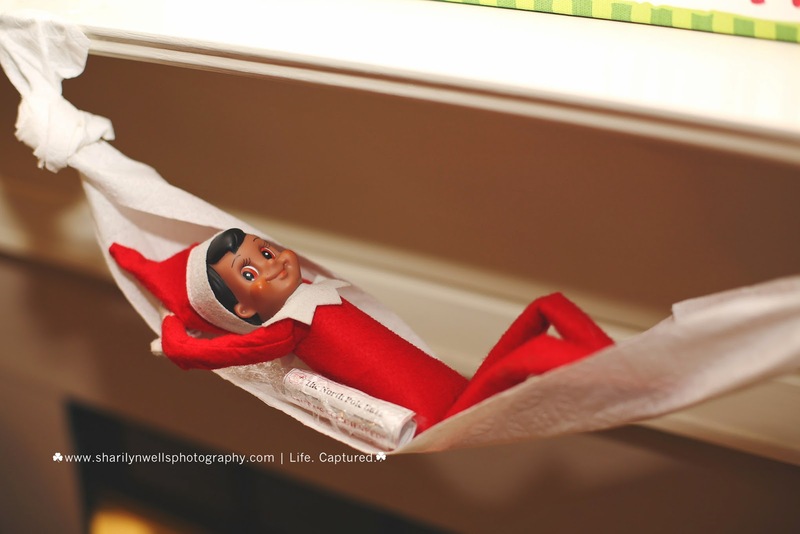 He grabs The North Pole Buzz, makes a hammock and relaxes. 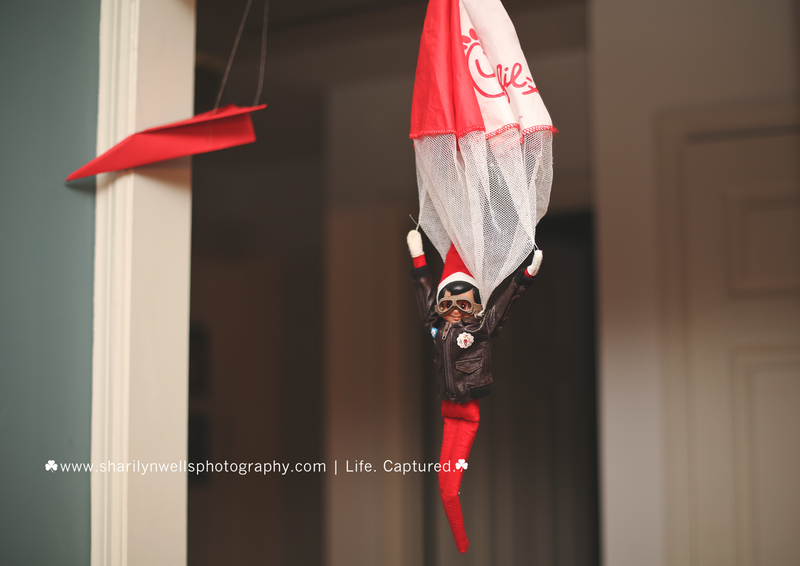 Raheem must have thought that being a paratrooper looked like fun so the next morning we found him parachuting in! 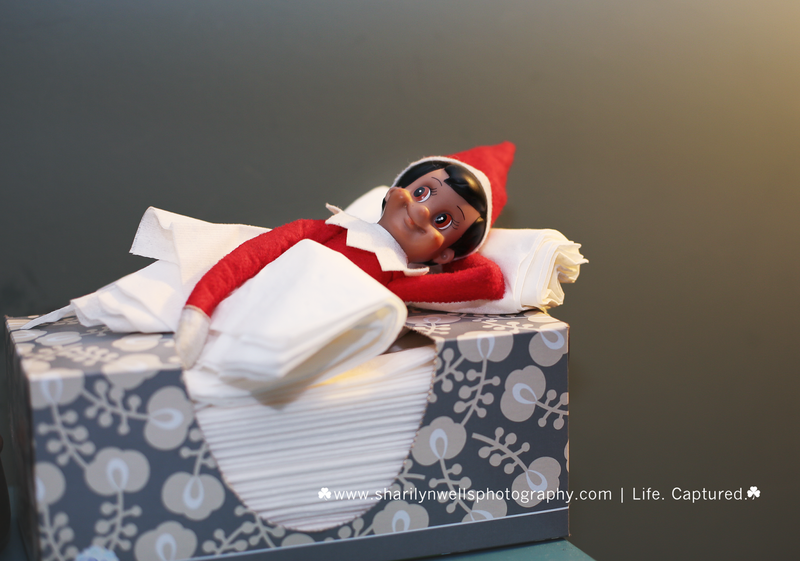 Here, Raheem appears to be daydreaming in his tissue box bed. After a tantrum the night before ... Raheem had to take matters into his own hands. He came back with a report from Santa. My eldest apologized for the attitude and remains on the nice list ... "For Now" Santa wrote. 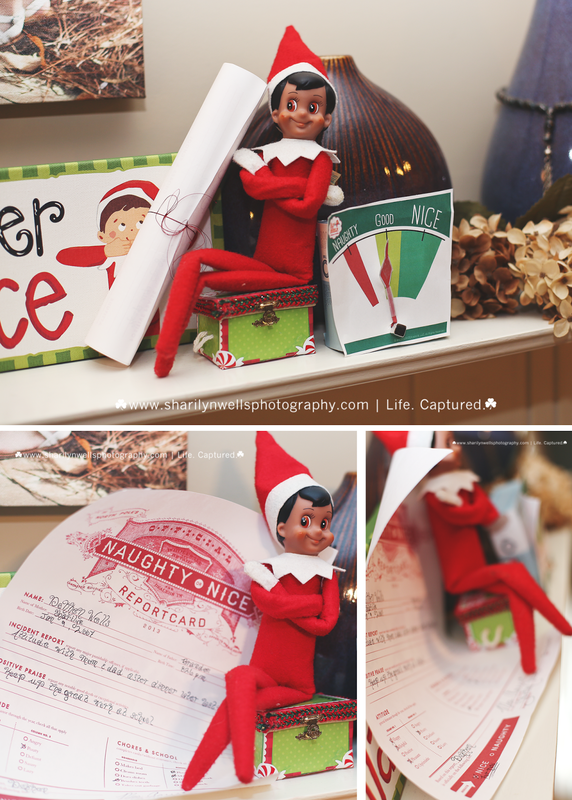 Naughty or Nice PDF can be found HERE -- I found "warnings" after the fact ... which would have worked better ... but HERE is that link if you need to set some warnings! 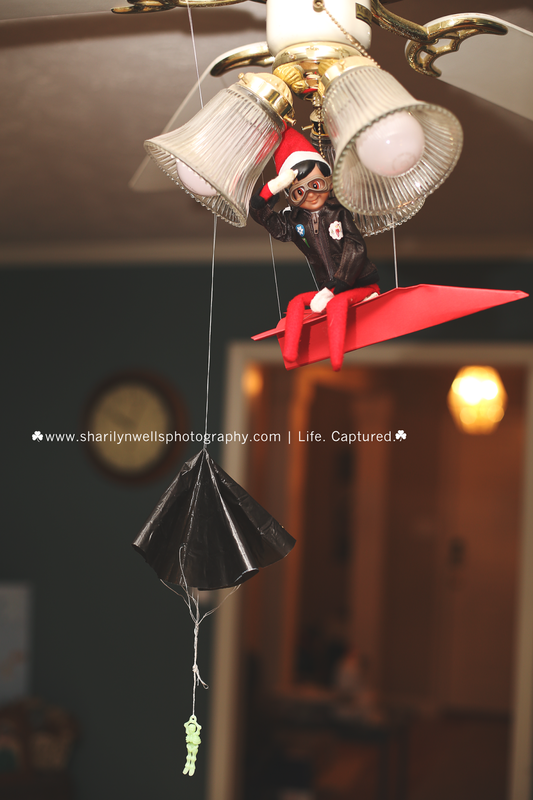 A little over 2 weeks left for Christmas and Raheem seems to be taking this years shenanigans pretty light ... I'm curious to see what else he has up that red jumpsuit of his!